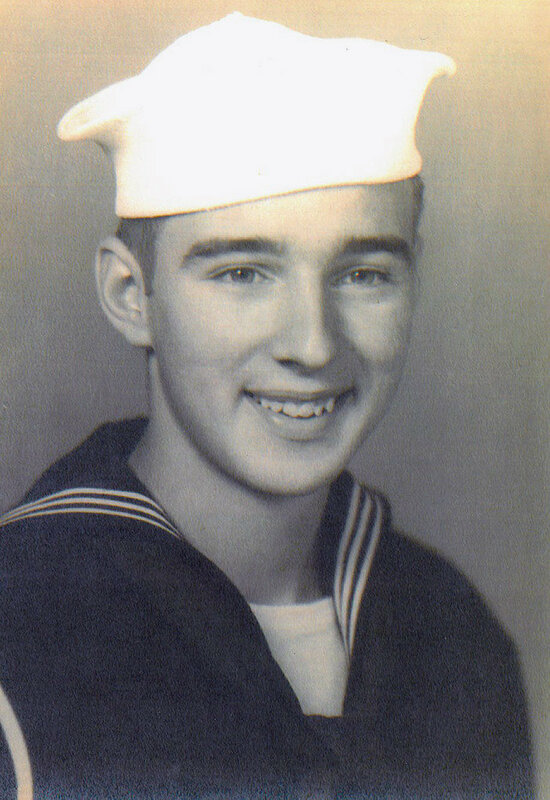 WWII U.S. Navy Veteran Normand Brissette of Lowell was among 12 POWs who died in the bombing of Hiroshima. When the 9,000-pound uranium bomb Little Boy was dropped from the Enola Gay, the nuclear reaction leveled most of Hiroshima in one blistering flash. Among the 140,000 victims were civilians and soldiers, and 12 American prisoners of war, including 19-year-old Normand Brissette of Lowell. 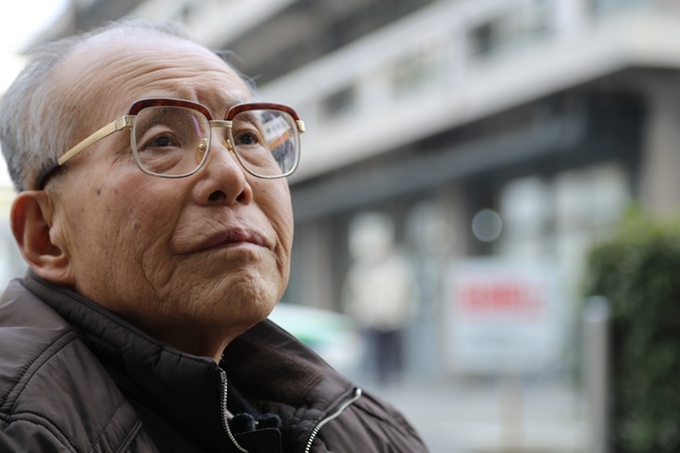 But no one really knew about the lost U.S. soldiers until one A-bomb survivor, Shigeaki Mori, made it his lifelong mission to find their families. “He is truly a special person,” says Barry Frechette, director of Paper Lanterns, a powerful documentary that sheds light on Mori’s incredible journey. The film makes its debut in Lowell Saturday at The Luna Theater. “Mr. Mori spent over four decades trying to unravel this mystery. His story is so deeply rooted in humanity that it needs to be shared,” explains Frechette, a Billerica resident and Boston advertising executive who was compelled to dive into documentary filmmaking after meeting Mori in Japan in 2014. For Frechette, the journey begins at home. His great-uncle, and WWII U.S. Navy veteran, Edward “Eddie” Chandonnet was Normand Brissette’s best friend. Growing up, Frechette heard stories about Brissette but they never resonated until a few years ago, when a homemade memorial book paying tribute to Brissette landed in his hands. Brissette’s smiling face on the book’s cover left a mark. Around 18-years-old and donning U.S. Navy dress blues, the fresh-faced teen looks more ready for a high school dance than the throes of war. 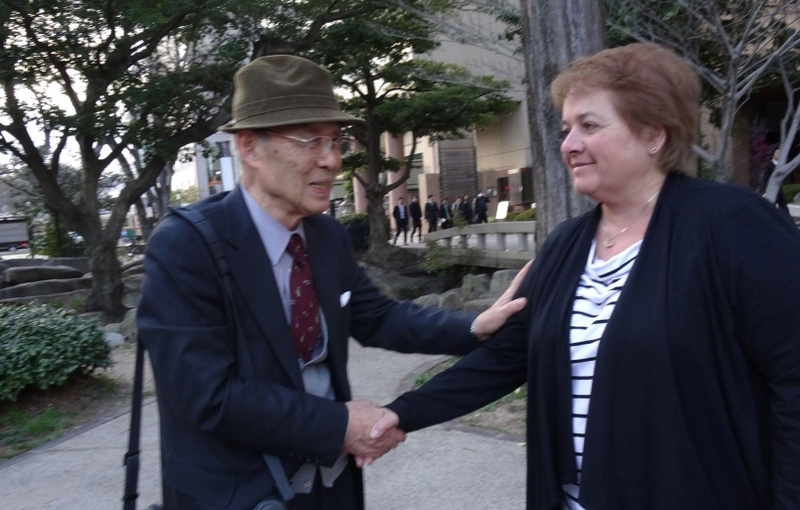 Frechette started digging and discovered that Normand’s younger sister, Connie Brissette Provencher, had received a letter back in the early 2000s from a Mr. Shigeaki Mori in Japan. “The more I looked into the story, the more Mr. Mori’s name came up as a common thread,” Frechette says. It was fifteen minutes past 8 a.m. on August, 6, 1945, when an intense ball of fire flashed above Hiroshima. Mori was just 8-years-old, and on his way to school when the larger–than-life purple and gray plume boiled high above the city. He was about a mile and a half away from the blast when its sheer force threw him into a stream. In the 1970s, Mori learned about an American bomber that crashed at a neighboring mountain village and was compelled to know more. He always had a passion for history and research, and decided to visit the village of Ikachi, where he was able to gather eyewitness accounts and see the exact site of the crash. He later discovered the downed aircraft was the Lonesome Lady and that police had taken her crew to Hiroshima, where they were held with crewmembers from three other aircrafts that were shot down. When Mori learned the names of the lost airmen, it wasn’t enough. He wanted to reach out to their families. Mori also wanted the names of the American POWs to be known in Hiroshima. There was no mention of the soldiers at any of the city’s memorials. “Names of all victims should be acknowledged equally, regardless of nationalities,” Mori explains to Frechette. He spent more than four decades tirelessly researching and gathering information, pouring over thousands of boxes of evidence in the U.S. Library of Congress, and looking up names in American phone books at his local library. 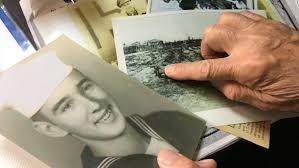 He called operators in different states in the hopes of making connections, and wrote letters until he was able to find the relatives of all 12 men. 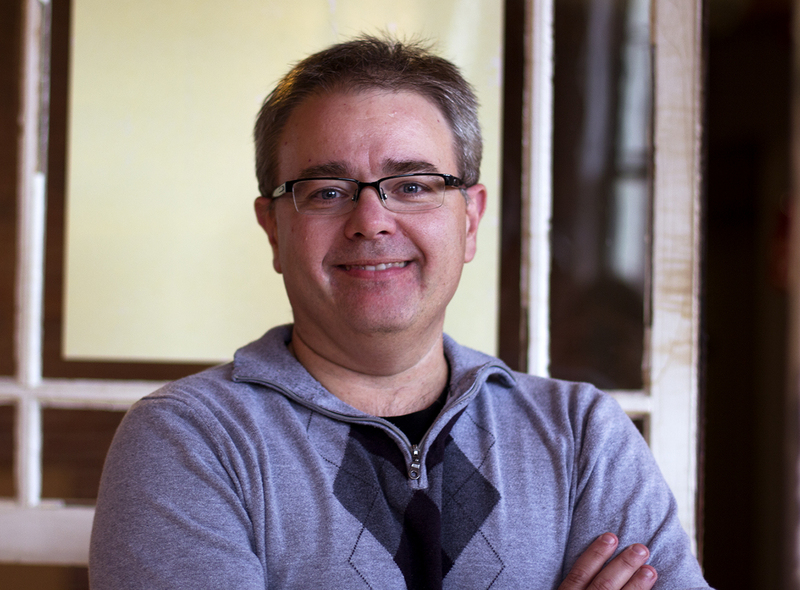 Frechette launched a Kickstarter campaign to raise money for the project, and received help in the form of grants from the Japan Society of Boston. He traveled to Japan with Normand Brissette’s niece, Susan Brissette Archinski of Dracut, and Ralph Neal of Harrodsburg, Ky., who was named after his late uncle and airman, Ralph Neal. 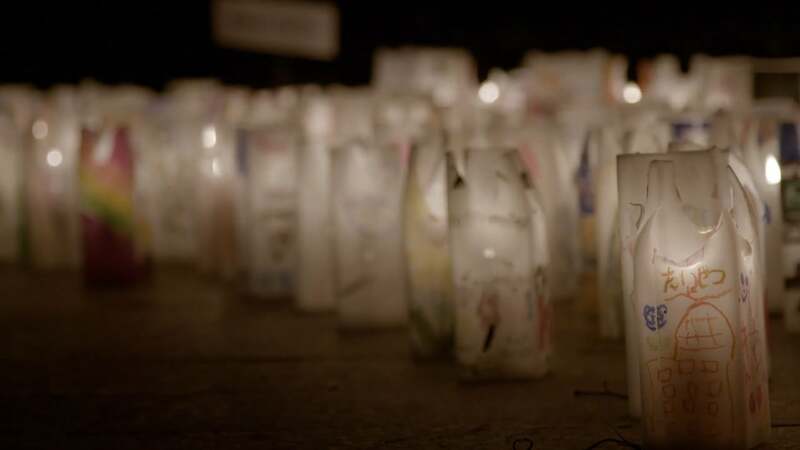 At the heart of Paper Lanterns, is an emotional story that documents the meetings of Archinski, Neal and Mori, and reveals the personal accounts of their late relatives and the perseverance of the Japanese historian who brought them all together. Although the film was finished in 2015, Frechette added a new ending following President Barack Obama’s historic visit to Hiroshima in 2016. Because of Frechette’s documentary, President Obama became aware of Mori’s quest and mentioned him in his address. 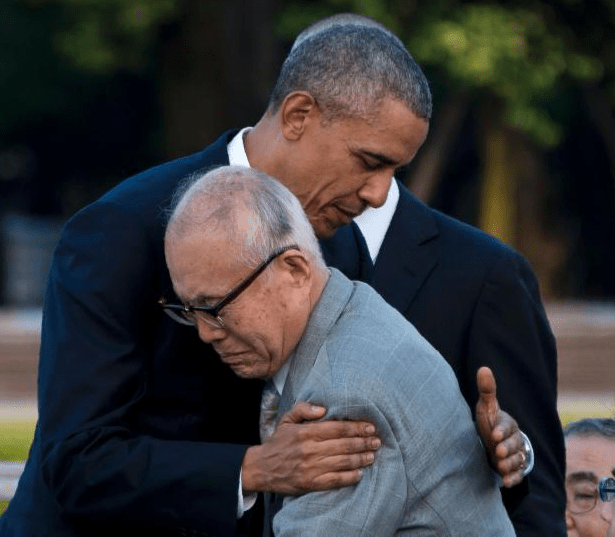 Photos of Obama hugging Mori that day were published in news outlets around the world. Paper Lanterns screens at The Luna Theater at 5 p.m. Saturday. Purchase tickets here. A Q&A with the filmmaker and Normand Brissette’s niece, Susan Brissette Archinski, will follow. Please try to arrive early as The Luna expects a full house. Parking is available at the adjacent Edward J. Early Garage. Learn more about Barry Frechette’s documentary at paperlanternfilm.com.